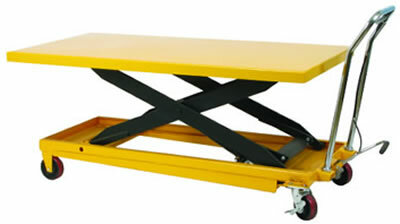 Introducing our new manual long deck scissor lift table. 80 long x 30 wide accommodates large cargo.  Two wheels and two locking swivel casters. 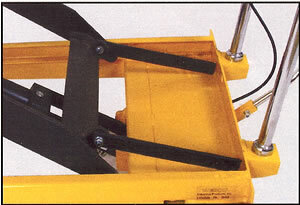 Scissor Lift Truck, Lift Table, and Foot Pump Hydraulic Lift Tables from your source for material handling equipment.